Guitar music for weddings, birthdays and corporate functions. 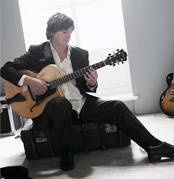 As a guitarist Darren Dutson Bromley is able to perform a large repertoire of classic jazz tunes and standards. He can provide the perfect music for any occasion be it the intimate sound of a solo guitar to the more lively music of a duo, trio or quartet. Because of the compact nature of the guitar it makes it an ideal medium for a wedding or corporate event. Perfect to create music to provide subtle entertainment while people eat or meet for drinks or romantic music for a wedding meal. Recent events are performing at the opening ceremony of the Bradford City of Film Festival and the opening of the Delius arts centre. 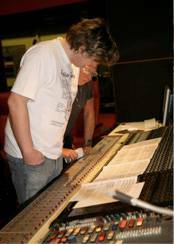 Music for concerts, festivals, session work, bands, workshops and theatre. As a performer Darren has performed throughout the country. He recently played a U.K tour from Edinburgh through to Brighton on the strength of his CD, ‘My Romance’ which became a BBC album of the week. Recent performances have included the National Theatre and Artsdepot in London, the Mission Theatre in Bath and the Edinburgh Festival. He has a relaxed performance style and has interesting and often witty insights into the songs that he performs. As a player he is able to offer a very professional service, as well as been available for concerts he is an extremely fluent sight-reader and is available for theatre work and recording work and has recorded at studios all over the country including Pinewood. An experienced teacher, Darren is able to provide workshops in jazz guitar, these can be combined with a concert to offer a complete package. Last years Saltaire festival did this with very much success. A mad idea or what?